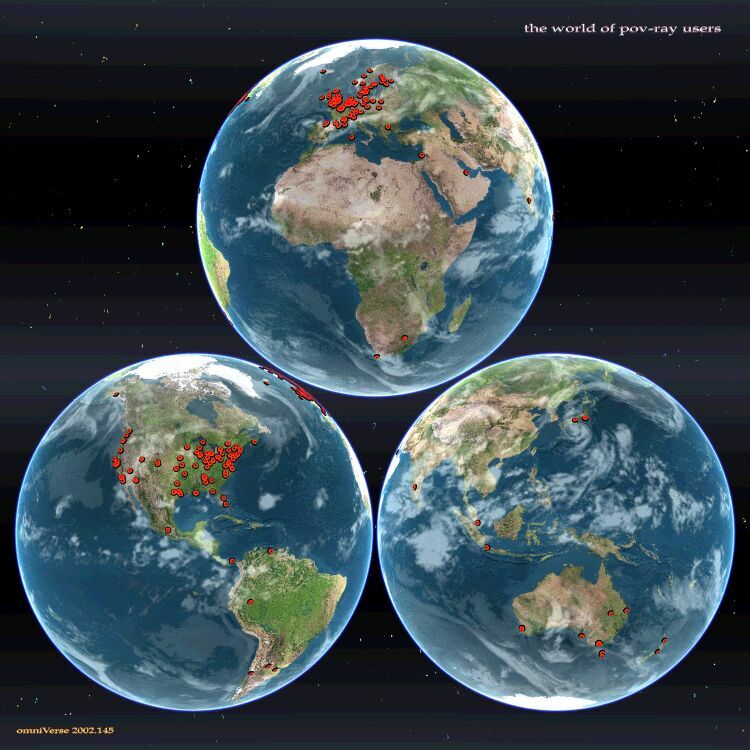 Click on either North America, Europe, Australia for zoom views. Also click elsewhere on a hemisphere to get a wider yet closer view. the world of pov-ray users links to the list of participating people and omniverse links to my homepage. Click on a zoomed view to get back here and the starry background to go to the coordinate submissions page. If the picture dates don't match please use Reload (Refresh) in your browser.